Everyone over 18 has turned into zombies hungering for fresh meat. The zombies fed upon the youngest first... but you survived! You have only one problem now: a horde of thousands of zombies is relentlessly chasing you. Run through town in search of weapons, safe haven, and some food, make a stand, encounter other survivors and discover the origin of the epidemic! 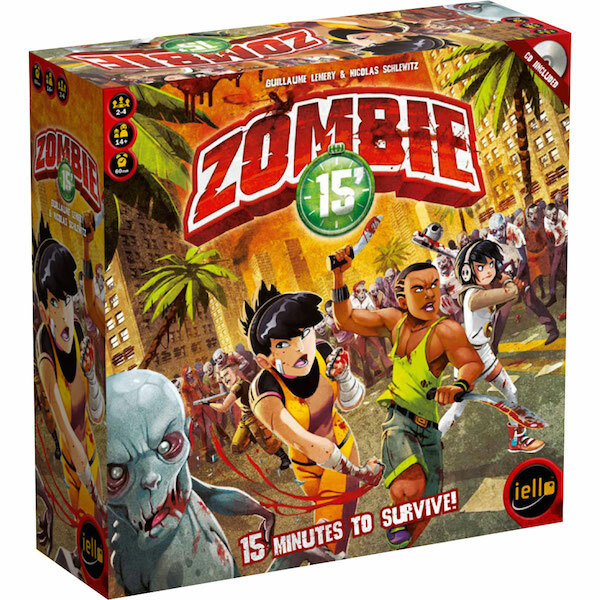 Zombie 15’ provides easy rules but real choices, to be made as quickly as possible if you don’t want to get overwhelmed (and eaten) by zombies! Download the soundtrack and bonus scenarios!